Software-defined networking (SDN)? There's an app store for that. 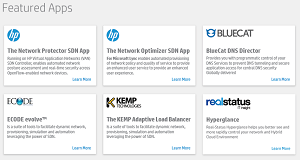 HP today announced the HP SDN App Store will be generally available Oct. 1 with offerings from itself and partners to ease the adoption of the evolving technology that increases network programmability. The company described the app store as the industry's first enterprise-grade SDN application ecosystem, helping independent software vendors easily provide innovative solutions to help IT managers who use SDN architecture solve their unique network problems. Customers can use the app store to more easily discover, learn and buy applications available for download, testing and live deployment, the company said, along with securing support and services. Applications will be presented in four categories, or "circles," HP said, including different sections for: HP-built and tested applications; top selling applications, tested by HP and partners; applications tested by partner contributors but reviewed by HP; and open-access and community-supported projects, for demonstration of open source and concept applications. The company is getting a head-start on an SDN networking application market that research firm IDC predicted to total $1.1 billion by 2017, according to HP. 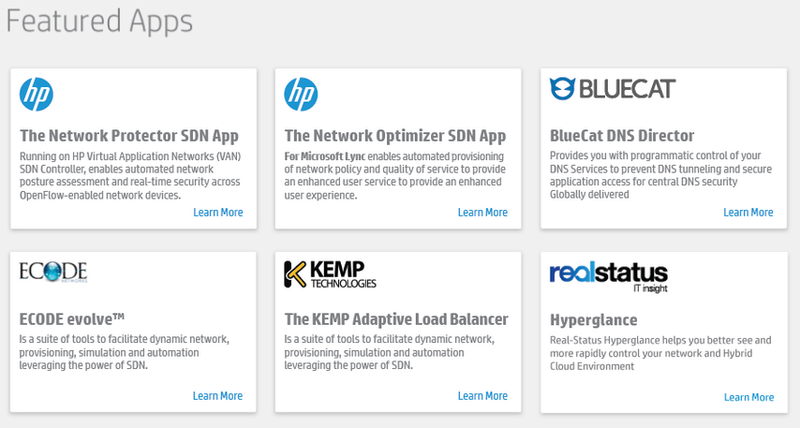 "The HP SDN App Store provides HP's ecosystem partners a go-to-market platform together with consulting and support services that will enable customers to uncover the business value of SDN," HP said in a statement. BlueCat DNS Director delivers network-driven enforcement of DNS policies that allow security infrastructures to gain complete visibility and control through IP address management data across all devices and applications. Ecode evolve is an SDN orchestrator that facilitates dynamic service provisioning with built-in quality of service and denial-of-service mitigation. Streamlining network design, change simulation and automated policy provisioning, it accelerates operations. F5 BIG DDoS Umbrella allows customers to implement network, application, DNS and SSL DDoS protection near the network edge, closer to the attacker. GuardiCore Defense Suite provides highly scalable, SDN-based network security for software-defined data centers, detecting and mitigating advanced persistent threats, malware propagation and insider attacks, at an early stage. KEMP Adaptive Load Balancer Application, integrated with the HP VAN SDN Controller solution, provides end-to-end visibility of network paths for optimal routing of applications across the server and switching infrastructure. Real Status Hyperglance is a hybrid cloud and SDN simplified-management platform that provides a unified, full-scale, interactive topology view with 360-degree navigation, intuitive monitoring and context-aware controls for confident insight and action. HP Network Protector enables automated network posture assessment and provides real-time security across OpenFlow-enabled network devices. HP Network Optimizer for Microsoft Lync enables automated provisioning of network policy and quality of service to provide an enhanced end-user experience. According to an HP FAQ: "The SDN App Store allows customers to browse and install SDN applications either directly onto their HP VAN SDN Controllers for an integrated GUI experience, or the appropriate application server for external communications with the HP VAN SDN Controller. You can explore applications based on their main solution type, or category, such as: optimization, security, and orchestration. You will also be able to filter applications based on vendor, application tier and support model of the application." 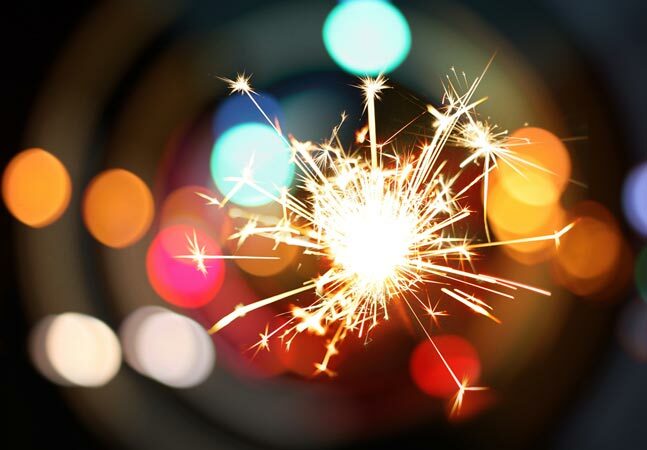 HP exec Jacob Rapp noted in a blog post today that the app store news comes one year after HP previewed the app store concept while announcing its SDN ecosystem. He said more than 80 partners are "looking at" that ecosystem, with more than 30 in some stage of development. "With the IT industry transitioning to address challenges around security, cloud, Big Data and mobility, customers will find in the HP SDN App Store a place where the challenges of this new style of IT are being addressed in new and innovative ways that are enterprise-ready today," Rapp said. HP said it will demonstrate the app store at next week's Interop conference in New York.